The Plaza Del Mar is a one stop office and showroom centre for all your property related needs. Located in a charming Mediterranean/ Sino-Portuguese build are property developers, real estate agents, villa management companies, lawyers, kitchen suppliers and even a superb wine store. 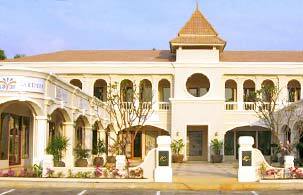 Conveniently located at the entrance to Laguna Phuket The Plaza Del Mar is well worth a visit.